Whether it concerns the treatment of 'hay fever', treatment of a 'paroxysmal inflammation' or the care after nasal surgery, ENT doctors increasingly give advice to cleanse the nasal cavity with a nasal irrigator and nasal salaine. The Nasopure® nasal irrigator is a good choice. 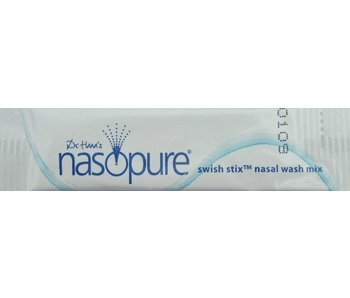 That makes sense because rinsing with Nasopure® nasal irrigator and nasal saline is a very natural way to rinse the nasal cavity and paranasal sinusses. In addition, rinsing your nose with the Nasopure® nasal irrigator is effective, easy, safe and cost-effective. TIP: For people who have trouble using a squeeze botlle (eg children and seniors) the NasuClear electric nasal irrigator is a perfect alternative.